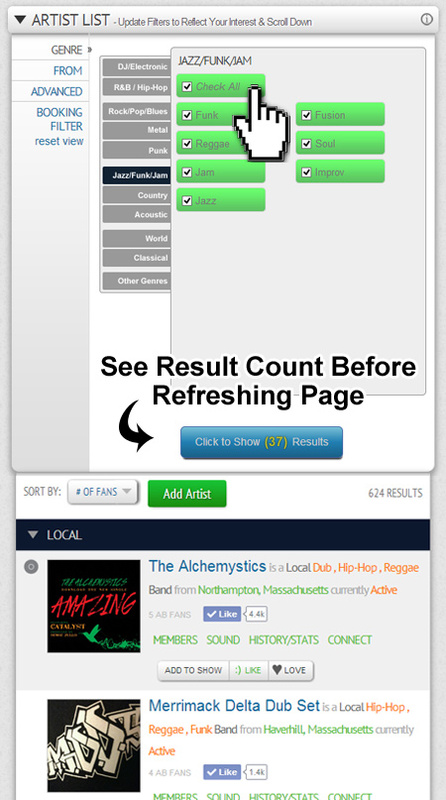 We believe that since a website built for booking and promoting shows would include a massive database of events, artists, and venues – it should be set up in a way that’s easy and fun for fans to browse and find what they like. The site is set up to serve as an archival library of information related to the Music and Entertainment Industry. 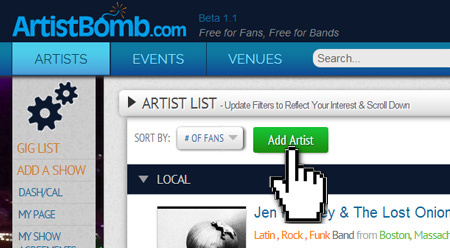 So whether bands are active today or disbanded in 1964, national or local, MusicIDB.com will always offer a space for them, at no cost whatsoever. 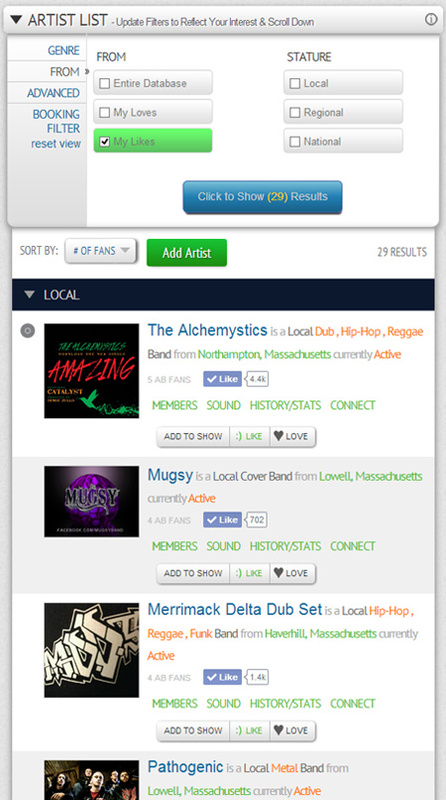 “Check All” for Main Genre Sections so you Can Quickly find All Rock or Metal artists etc. Your name is not shared with the artist or other guests, but the counter goes up showing artists and fans how many people are have added each event to their own calendars. 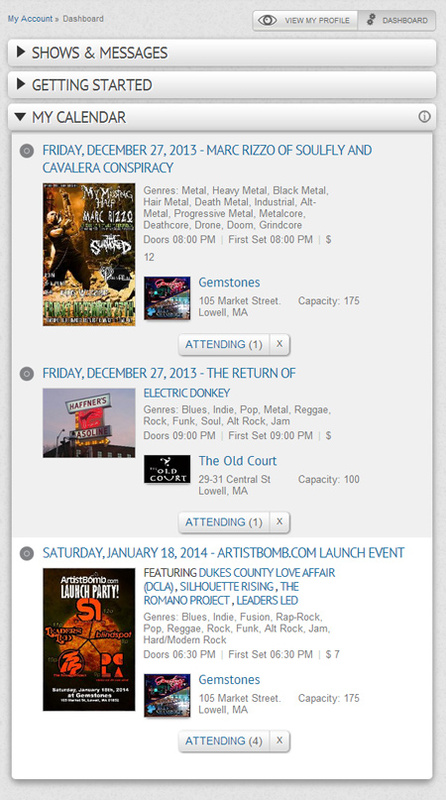 Quickly filter Artist List or Venue List to showing only what you like or love, or show the entire database.